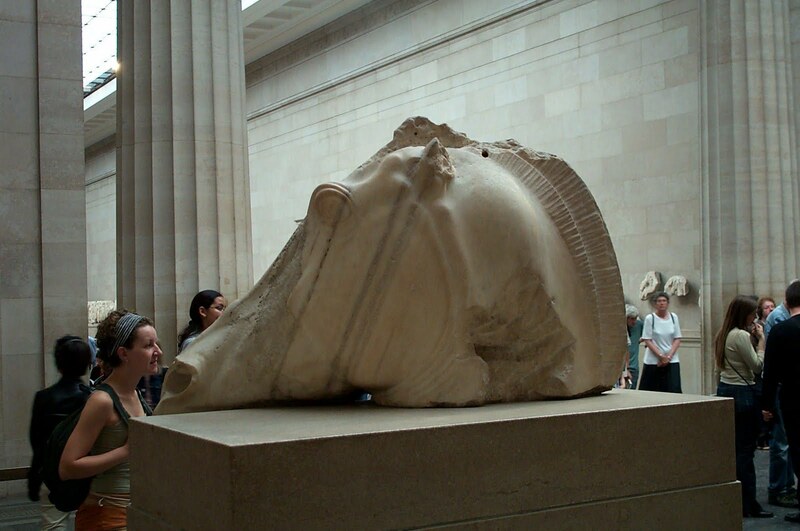 The Parthenon Marbles appeared in the review of the papers on Radio 4. The Sunday Express picked up on the fact that Nick Clgg, leader of the LibDems, has backed the campaign to return the Parthenon Marbles to Greece ("General Election 2010: EU zealot Nick Clegg's bid to return Elgin marbles", Sunday Express April 25, 2010). The issue has been raised because Clegg is seen as a threat by Labour and the conservatives. The issue highlights his [sc. Clegg's] strident pro-European views and helps shatter his attempt in Thursday’s leaders’ debate to portray his party as moderate on EU affairs. The BBC archive has the origin of the story ("Euro call for Marbles return", BBC News May 29, 2002). Nick Clegg, a Liberal Democrat MEP, was chairing the conference and said: "It is high time the Marbles were restored to their proper setting." "The current situation is a bit like displaying the clock from Big Ben in the Louvre in Paris - Brits wouldn't tolerate it, and neither should we expect the Greek Government to remain silent." I am not sure that the Parthenon Marbles will be a deciding factor in the election - the leaders need to address the UK deficit as well as issues such as education and health. However it is interesting to note European policy being defined by the party's attitude towards cultural property. What does this say about the decision by the Labour administration (via the Ministry of Justice) to sell the Symes assets against the wishes of Italy?